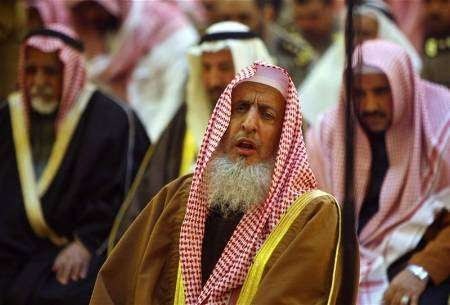 Angry Arab - Those Saudi Wahhabi clerics are key US allies in the war on ISIS. Yes, Saudi and Qatari clerics have been ordered to condemn ISIS as of late but the problem is that those clerics are lacking in credibility and it is easy for ISIS to dismiss them and mock them, as it has done. It will eventually hit everyone: that both Al-Qa`idah and ISIS come out of the same ideological background as the Saudi regime. It will be inevitable: people will conclude that to stem the tide of those Islamist fanatics you need to bring down the House of Saud. But the House of Saud feels very nervous: their behavior (and even their rapprochement with Qatar and Iran are examples) tells a lot. Like the story about moving the tomb of the prophet: they are now at pains to tell us over and over again that it is not true. They are on the defensive. Are you aware that the Saudi regime insists in all its "humanitarian assistance" to international organizagtions that all shipments be labeled "from the Kingdom of Humanity"? And are you aware that recently refugees in northern Iraq refused to accept humantarian shipment of food because they were from Saudi Arabia? And are you aware that all Saudi assistance to international organizations is conditional on the requirement that those international organizations embark on PR work on behalf of Saudi Araba to improve its image in the West? All this is not analysis but information form a UN source in NYC. PS My source added later: the refugees were upset because they blamed Saudi regime for the creation of ISIS. "The countries likely to be enlisted include Australia, Britain, Jordan, Qatar, Saudi Arabia, Turkey and the United Arab Emirates, officials said." Yeah. Nothing can defeat the ideology and message of ISIS like the secular feminist ideology of Saudi Arabia, Qatar, and UAE.